A U.S court has issued the orders to Apple to show and provide the details of the licensing deal to Samsung that Apple has made with HTC earlier this month. The Apple and HTC settled their pending lawsuits on November 10. During this agreement, a 10 year licensing agreement has also been finalized between Apple and HTC. The terms and conditions of this settlement have not yet been publicly disclosed. 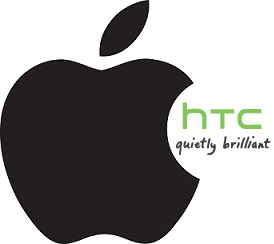 On Tuesday, HTC CEO Peter Chou denied that the company is going to pay $6-$8 per Android phone to Apple. The CEO of HTC describe this number as “outrageous number”. According to a report published in the Reuters, Samsung filed a case against Apple to compel Apple to show the details of the settlement that Apple has made with the HTC. Yesterday, the U. S District Court of Northern California Magistrate Judge Paul S Grewal ordered the Apple to show and disclose the terms and conditions of the agreement that Apple has made with HTC to Samsung. A public version of this agreement between Apple and HTC was obtained by Foss Patents on Thursday and this version was heavily redacted. This public version revealed that the agreement would terminate between the two companies if HTC was bought by another company. According to the some leading analysts of the market, the Samsung will be hoping that this agreement dealt provides the company with some information that it can use as a shield against a permanent sales ban that was sought by Apple against the products of the company. During August, Apple won a case against Samsung in which the Apple was awarded $1.049 billion. This decision was made by a jury after the findings that certain Samsung product infringe some of Apple’s design and software patents.